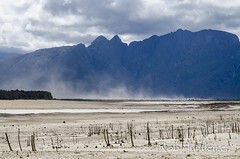 I have had a 16 month hiatus from kite aerial photography …. I’m happy to say “I’m Back”. This first session of 2015 was actually a commission job and I’m not showing the client’s photos. 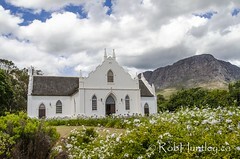 The images I’ve put on my website are byproducts of the session resulting from the great location. Had there been time after the ‘job’ I would have done more shots of the bridge, the park and the Ottawa skyline. However, strong gusts kicked up that prevented me from doing more. Additional images from this session can be viewed on my website (link under the photograph). The image here shows the Prince of Wales Railroad Bridge. There are two sections to the bridge. This is the section which goes from Lemieux Island at the bottom to the Quebec shore (Gatineau) to the left and top. 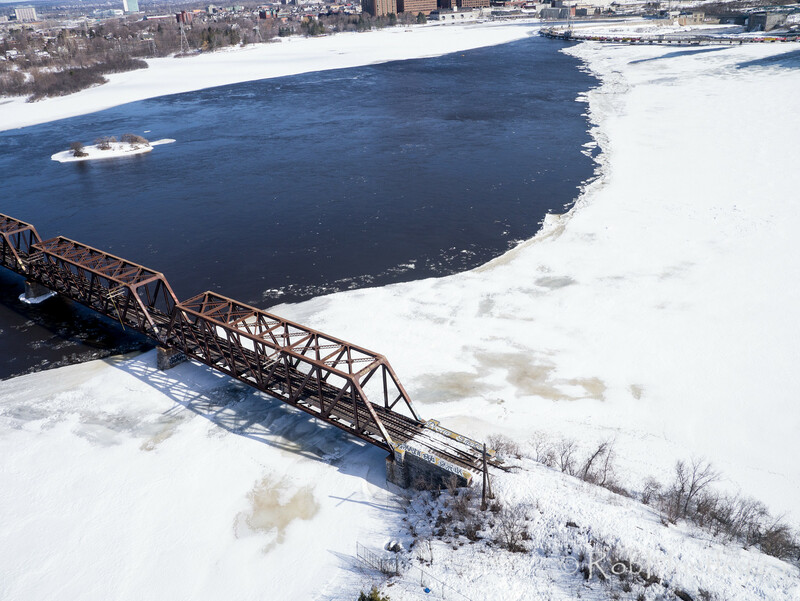 The rail line runs approximately 200 metres on the eastern edge of the island and then there is a second section of bridge connecting the island to the Ontario shore (Ottawa). The bridge has been out of use for some time but is now under consideration as part of the developing LRT (Light Rail Transit) for the city. Visit my website gallery Lemieux Island, Ottawa – KAP 2015-1 to view more images from this session. 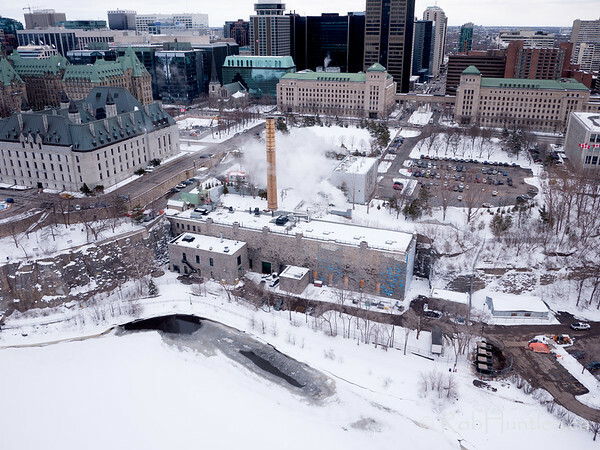 Over the past several years I’ve helped out with a few photos and assignments for one of my favourite non-profit organizations, Ottawa Riverkeeper. They have reciprocated kindly by hanging five of my prints in the main reception area of their offices on Scott Street in Ottawa (above Trailhead). They have been hanging there for the past 18 months or so. This evening one of those prints, a 24 x 36 framed canvas print called ‘Round the Point (shown below) will go on sale in one of the silent auctions at the Annual Public Meeting this evening September 23, 2014 at the Museum of Nature. 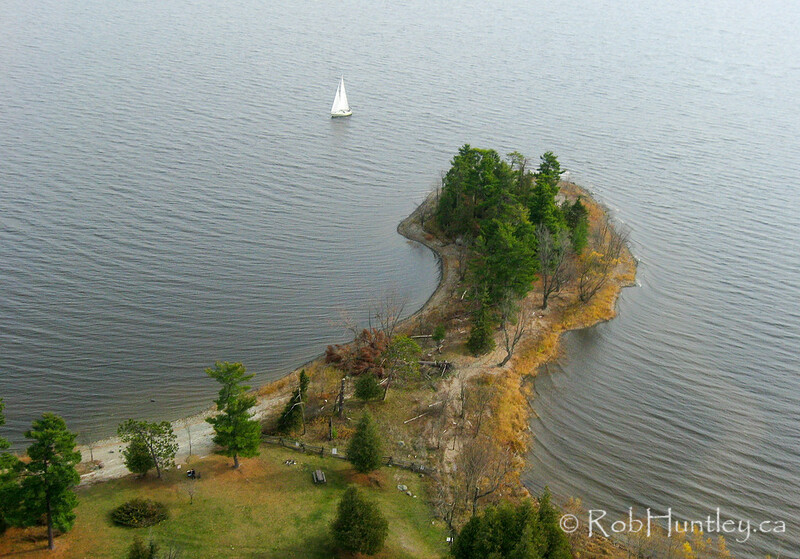 This is a kite aerial photograph showing a sailboat at Pinhey’s Point on the Ottawa River. ‘Round the Point – Aerial photograph of a sailboat passing Pinhey’s Point Heritage Property and Public Park on the Ottawa River. I have recently added this image to my storefront at Fine Art America. It is for sale as an art print, canvas print, poster or greeting card. Sales are direct through Fine Art America who handle all arrangements, manufacture and shipping. Click on the image to go to the same image at Fine Art America. Downtown Ottawa from Victoria Island. 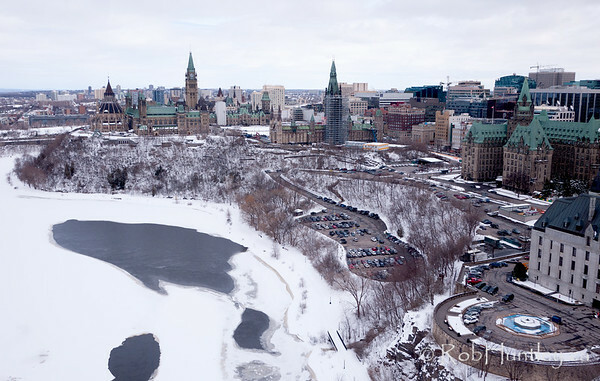 Parliament buildings on the left and the Supreme Court on the right with the semi-frozen Ottawa River below. Back to the land of snow and ice after a wonderful month of February in Australia. Recently I have made a couple of attempts to KAP the Wakefield bridge without any success so a couple of weeks have elapsed without succeeding with any kite aerial photography. 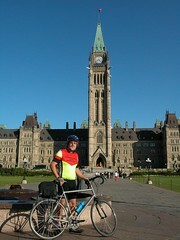 Finally a nice day arrived to do some work with the Parliament buildings and the still frozen landscape. Here are some of the shots from this session. Downtown Ottawa from Victoria Island. 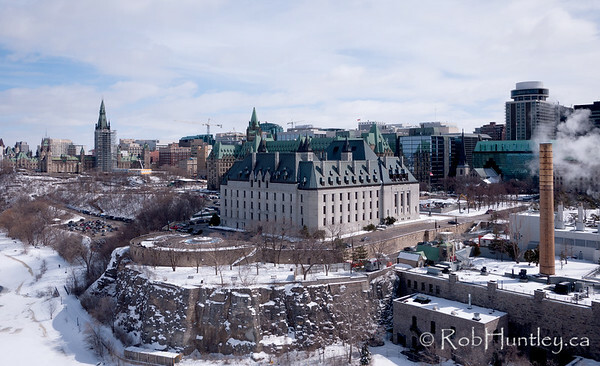 The Supreme Court with the semi-frozen Ottawa River below. Cliff Street Heating Plant. Cliff Street Heating Plant. Downtown Ottawa from Victoria Island. These photographs were taken using a remote-controlled camera suspended below a kite line (Kite Aerial Photography – KAP). Visit my website gallery Parliament Hill and Downtown Ottawa from Victoria Island – KAP 2013-8 – March 23, 2013 to see more images from this session. Images from this session are available for licensing through Latitude Image, a stock photography agency specializing in aerial stock images. 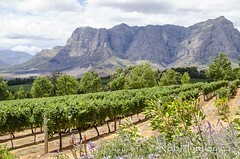 Click the website gallery link above for more information. Rideau Falls, where the Rideau River empties into the Ottawa River. Ottawa, Ontario. Rideau Falls are where the Rideau River empties into the Ottawa River, nearby the old City Hall on Sussex Drive not far from downtown Ottawa. 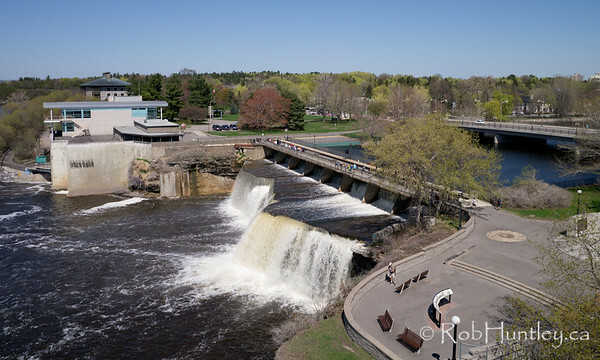 Visit my website gallery Rideau Falls, Ottawa, Ontario – KAP 2013-23 – May 3, 2013 to see more images from this session. Britannia Water Purification Plant alongside the Ottawa River (left) and Mud Lake (right). In the distance on the left is downtown Ottawa. 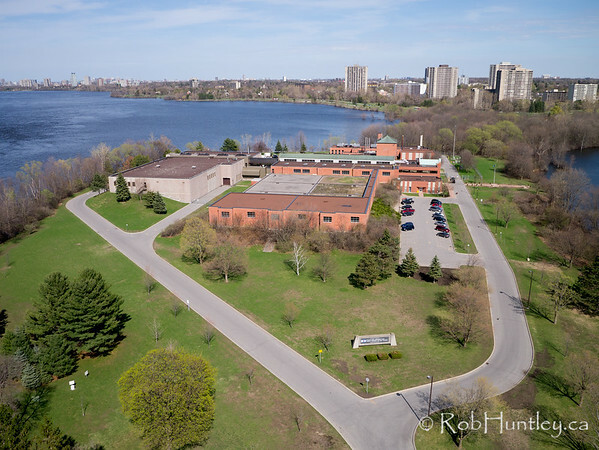 The Ontario side of the Ottawa River at the Deschênes Rapids is the location of several features: the community of Britannia, the Britannia Water Purification Plant (serving the city of Ottawa), the Britannia Yacht Club, and Mud Lake which has become an urban wildlife watching location. Not too far upstream is Britannia Beach, a popular recreation area. The town of Deschênes, which shares the name with the rapids, is on the Quebec side of the river. 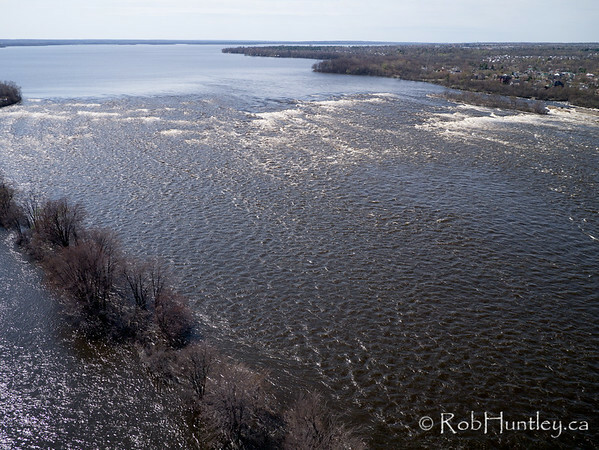 Deschenes Rapids in the Ottawa River. On the opposite side is the town of Deschenes, Quebec. This image is taken from the Ontario side. Shoreline trees are submerge during the spring high water levels. Visit my website gallery Britannia Water Purification Plant and Deschênes Rapids, Ottawa, Ontario – KAP 2013-21 – May 1, 2013 to see more images from this session. 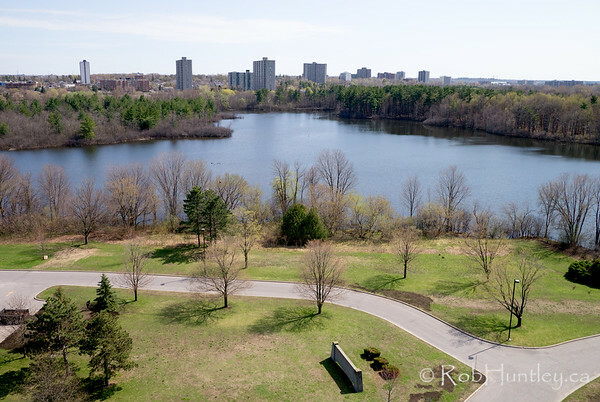 Over a 2 year period I was preparing a series of aerial images of Pinhey’s Point (near Ottawa) for an exhibit in the Pinhey’s Point museum last summer. One morning last spring I arrived and the wind was flat and the sky was overcast. I waited but a predicted change in weather didn’t happen. So much for believing the weather forecast. 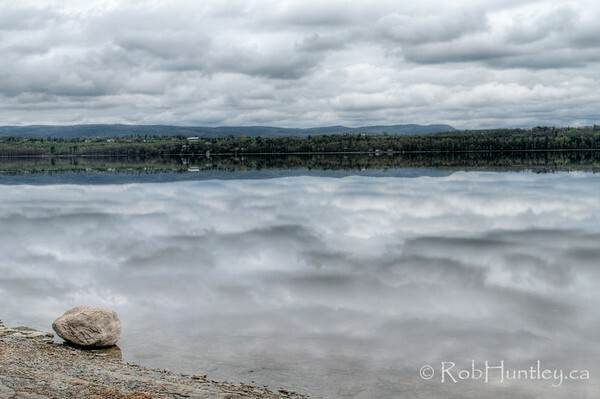 It was so still that the reflections in the Ottawa River were amazing. Fortunately I usually travel with both aerial gear and tripod gear so I switched mental gears. Seven of the images I took that morning were selected by Getty Images for exclusive licensing and they are now included in their catalogue. Here are a few of them. 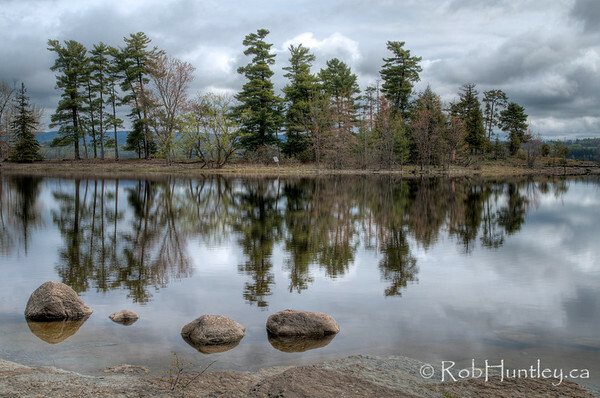 Four rocks and river reflections at Pinhey’s Point Heritage Property and Park. Looking towards the Quebec shoreline from the base of the point. The Gatineau Hills can be seen in the distance. Pinhey’s Point Heritage Property and Park. 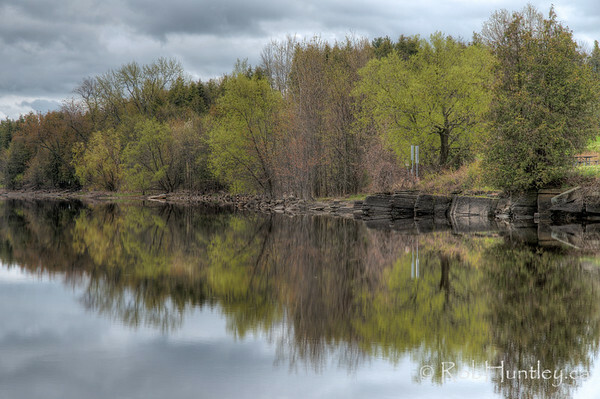 Reflection of the Ottawa River shoreline at Pinhey’s Point Heritage Property and Park. Click on image to go to the same image in my Getty Images portfolio. 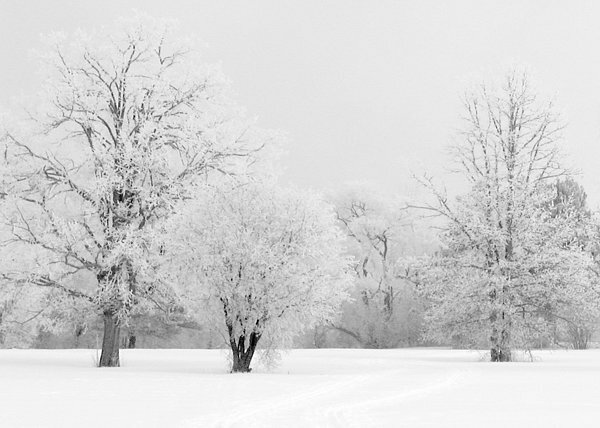 The other four images of Pinhey’s Point can be seen alongside them.